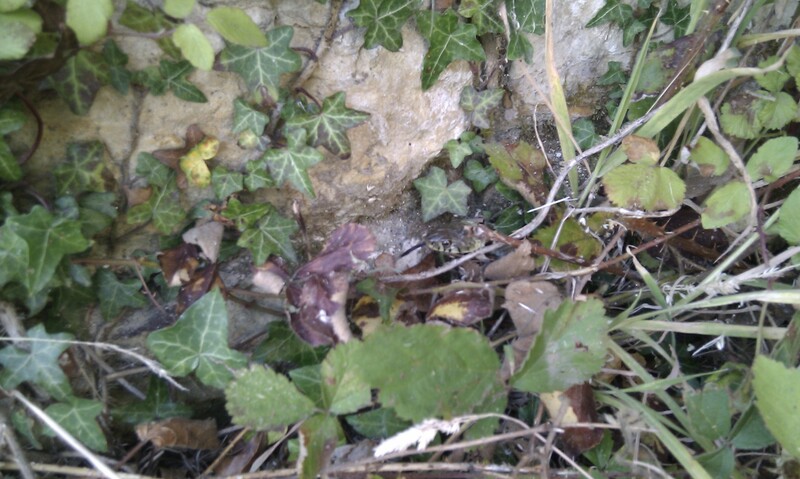 I found this snake at the bottom of a stone wall near the back pond. In the first photo you can see its head quite clearly and its body elsewhere in the picture. In the second one you can see its tongue. I could see the fork at the end of its tongue too, but it quivers too fast to be captured by the camera. Double-click on a picture to see it full size. All taken on my trusty HTC Desire. 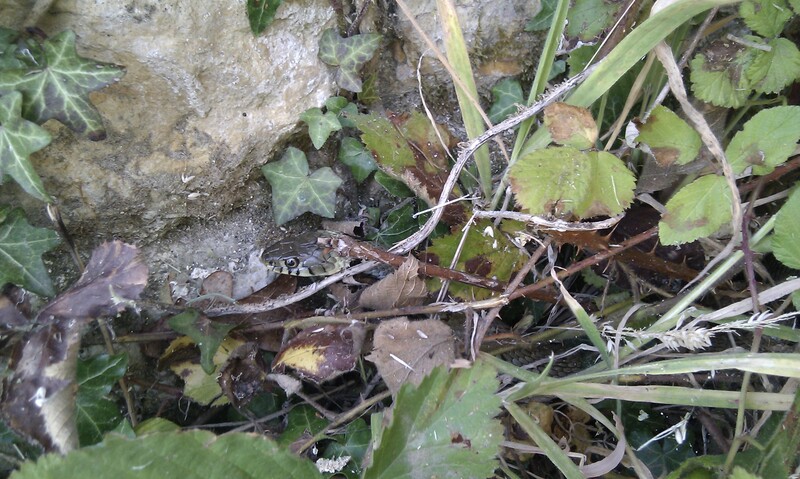 I believe it to be a grass snake. I took the photos from about a foot away, and it hissed at me as I did so. It’s a grass snake…we have quite a lot here in the South Lakes….